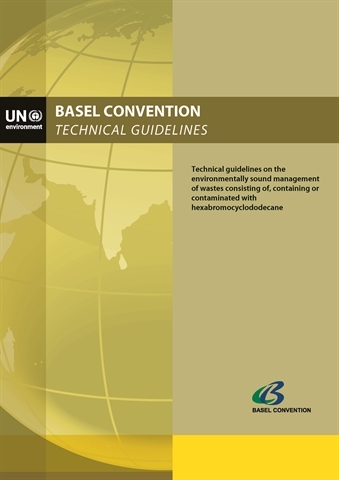 The Technical Working Group of the Basel Convention has developed in the Technical Guidelines, the elements for assisting States, in particular developing countries, in activities to be carried out within the framework of the environmentally sound management of the hazardous wastes they generate. The Technical Guidelines are principally meant to provide guidance to countries which are building their capacity to manage waste in an environmentally and efficient way and in their development of detailed procedures, waste management plans or strategies. This Guidance Document explains what is to be understood by the environmentally sound management of hazardous wastes. It is to be used as a reference document while developing strategies for the management of wastes within a country. The document also offers four sets of technical guidelines on various waste streams which Parties believed required priority attention. These documents have a special legal value since they were not only developed by highly specialized experts from various countries represented at the Technical Working Group, but were also later adopted by the Conference of the Parties to the Basel Convention. The present publication provides guidance on the environmentally sound co-processing of hazardous wastes in cement kilns. 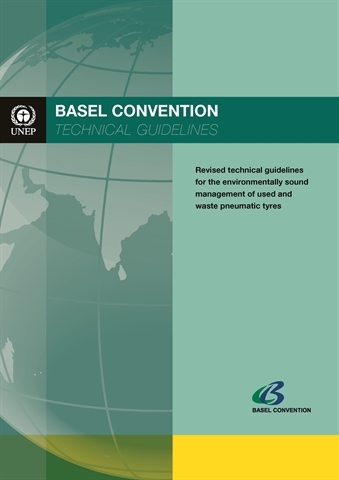 The technical guidelines was adopted by the tenth meeting of the Conference of the Parties to the Basel Convention on the Control of Transboundary Movements of Hazardous Wastes and their Disposal (decision BC-10/8) in October 2011. Co-processing of wastes in properly controlled cement kilns provides energy and materials recovery while cement is being produced, offering an environmentally sound recovery option for many waste materials. As countries strive for greater self-sufficiency in hazardous waste management, particularly in developing countries that may have little or no waste management infrastructure, properly controlled co-processing can provide a practical, cost effective and environmentally preferred option to landfill and incineration. 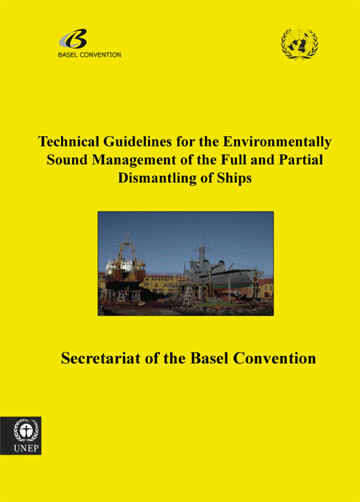 The Technical Guidelines for the Environmentally Sound Management of the Full and Partial Dismantling of Ships have been prepared with the intention of providing guidance to countries which have, or wish to establish, facilities for ship dismantling. The guidelines provide information and recommendations on procedures, processes and practices that must be implemented to achieve Environmentally Sound Management (ESM) at such facilities. The guidelines also provide advice on monitoring and verification of environmental performance. 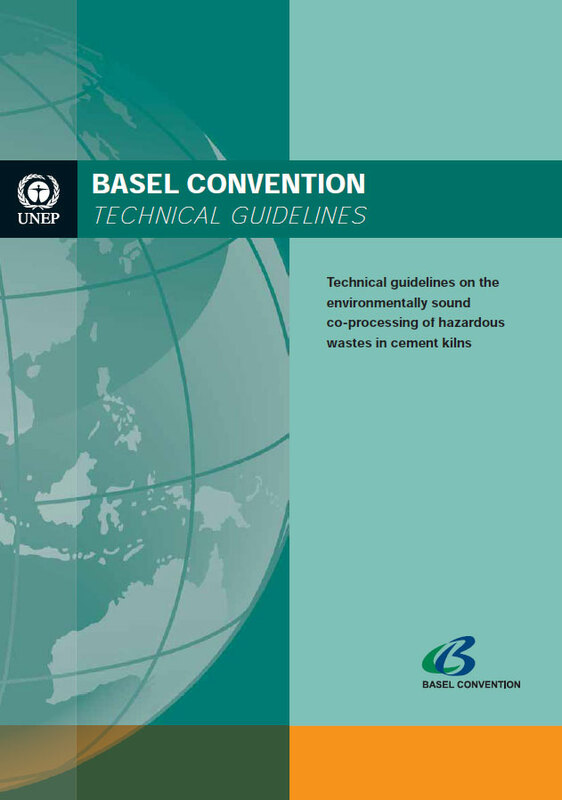 The present document discusses criteria for classifying wastes under the Basel Convention with regard to the Annex III hazard characteristic H11, delayed or chronic toxic hazard. 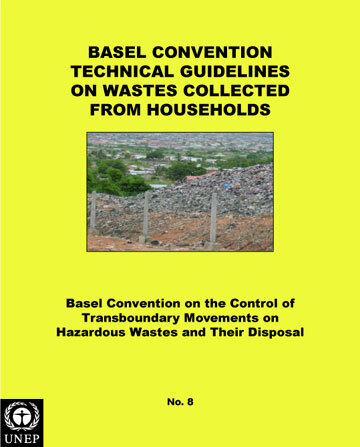 A key goal of the Basel Convention is to ensure the protection of human health and the environment during the transboundary movement and disposal of waste. In general terms, this means that people and the environment should be protected against potential adverse effects caused by the generation, transport, handling and disposal of waste being transported between countries that are parties to the convention. The Annex III hazard characteristics work with the Annex VIII and IX waste lists to help accomplish this goal. 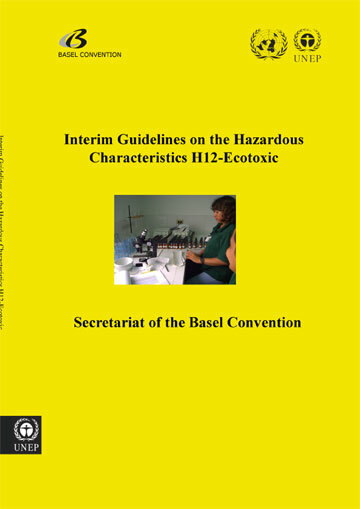 The H11 hazard characteristic (delayed or chronic toxicity) is intended to ensure protection from wastes or waste constituents that can cause adverse health effects following very low but prolonged exposure of people to the waste, with the adverse effects occurring either during the exposure period, or after exposure has ceased. 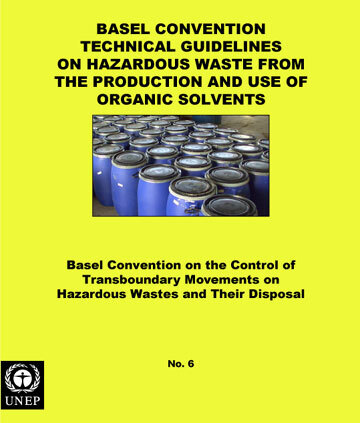 When the hazard posed by a waste is too great, the waste is classified as Basel hazardous, and the range of Basel controls and protections will apply. The present document proposes criteria for the ecotoxicological hazard of wastes. 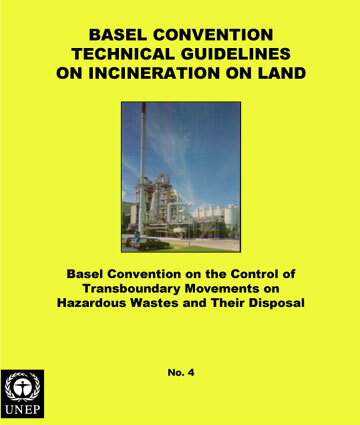 It is an aim of the Basel Convention that the management and transboundary movement of hazardous waste are consistent with the protection of human health and the environment. In terms of ecotoxicity, this means that wildlife as well as the functioning of the ecosystems should be protected against potential adverse effects caused by the generation, transport and disposal of hazardous waste. 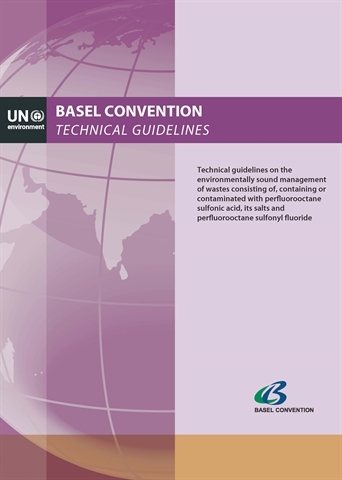 The purpose of this document is to provide the Parties to the Basel Convention with guidance on the application and use of H13 of Annex III of the Convention to determine the hazard properties of waste. Many organic substances exhibit solvent type properties. Whilst any attempt to estimate the number in regular or common use involves subjective judgement, it is suggested that some 60 substances fall into this category. Annex 1 lists these substance, together with some information on their properties. Solvents may be categorized in several ways, for example by industrial application, by chemical family, or by some property based description. The annex 2 shows groups of solvents by chemical type, or family. Solvents display a very wide range of properties and characteristics. Many are flammable, some highly flammable, many are volatile and evaporate quite rapidly to give off vapours. Such vapours may be toxic or flammable-flammable vapours in confined spaces can be explosive. Toxic properties can be very varied, and include being carcinogenic, narcotic, ecotoxic and may even be mutagenic or teratogenic. Solvents may be more or less dense than water, more dense substances sinking to the bottom of watercourses, vessels etc. Whilst some solvents are totally miscible with water, others are not and display barely any solubility in water. Oils originating from petroleum crude can be processed, blended and formulated to produce numerous ranges of products for many applications. Users of oils and oil products include not only industrial and commercial interest, but by virtue in particular of lubricants and fuel oils, the individual citizen. This can have profound affects on waste disposal issues. Household wastes are not normally regarded as hazardous, since they consist almost entirely of materials, which have been handled by individuals before being discarded. However, such wastes can be extremely variable in their composition, depending to a large extent on the lifestyle of the generator. For example, it can be expected that in the countries where almost everything bought is associated with wrapping materials, the packaging waste very often comprises a significant part of household waste. There will also be foodstuffs adhering to it or unusable material derived from foods preparation, such as vegetable peelings, meat scrapes and bones, which make it unattractive for recycling. Also present in waste collected from households are such items as batteries and other electrical components, some of which may contain mercury, containers in which are present residues of oils, paints, pool chemicals, caustic materials, sterilizing agents, bleaches, medicines, etc. Although these constitute a small portion of wastes collected from households, they are particularly problematic due to their hazardous characteristic, variability in chemistry and associated high recovery costs. There may be in addition, aerosol canisters, caustic materials, sterilizing agents, bleaches, medicines, disposable baby’s nappies or diapers, animal faeces and its associated litter along with discarded foodstuffs which rapidly degrade and become offensive by virtue of their smell. Such wastes are attractive to vermin, flies and scavenging animals and birds. For all these reasons there is a need to control and give special consideration to household wastes and carry out practices, which demonstrate environmentally sound management. Such wastes could also be generated in offices, commercial establishments, hotels, etc. These technical guidelines provide general guidance on specially engineered landfills used for the wastes which exhibit one or more hazardous characteristics. 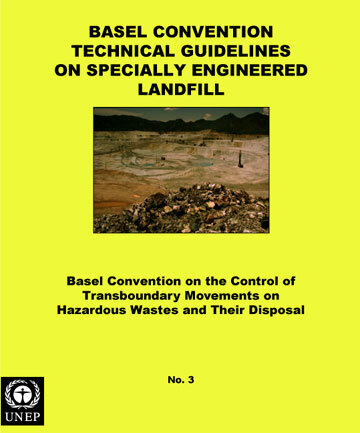 The technical guidelines also discuss the landfilling of other wastes, as defined in the Basel Convention, e.g. collected from households, to provide a more comprehensive picture on environmental and health problems arising from landfills. In addition to the requirements for establishing new landfills, the technical guidelines also consider the critical issue of existing or abandoned landfill sites which require strict control, monitoring and often remedial measures. 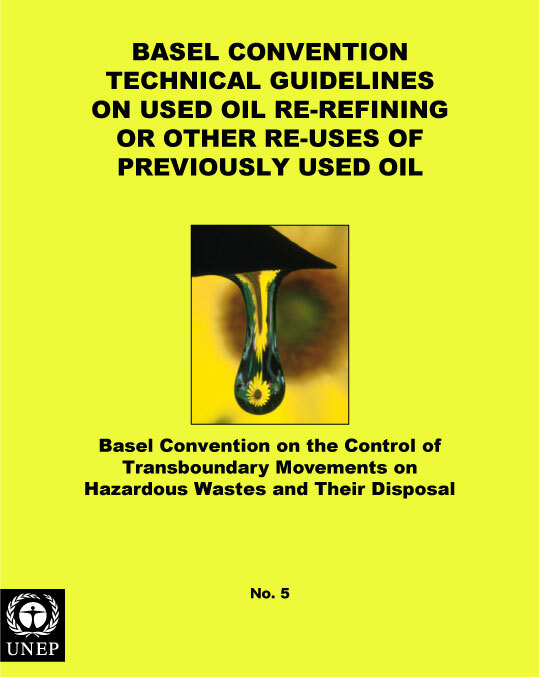 They provide general guidance as to which hazardous wastes would be suitable for landfilling. Landfill is by far the most commonly practised waste disposal method in the majority of countries. It is the descriptor used for the placement of wastes into or onto the ground and, in many cases because of the nature of the materials involved, equates to long-term storage. As a result of serious environmental and health problems experienced with historic and abandoned dump sites and the very high costs associated with clean-up measures at contaminated sites, many countries have introduced the "specially engineered landfill concept", the wastes for which are only consigned to sites selected for their containment properties, these being natural, augmented by or provided directly by liners, the overall engineering being such as to ensure as far as possible the isolation of wastes from the environment. Such landfills are considered a final resort option only to be used after every effort has been made to reduce, mitigate or eliminate the hazards posed by such wastes. Incineration is a high temperature, thermal treatment process in which hazardous wastes are converted into gases and essentially incombustible solid residue. residues). The options available within these process operations can be combined in various ways to meet the technical needs of a wide range of circumstances. Thermal treatments are of three main kinds: incineration; pyrolysis; other thermal processes (i.e. thermal oxidation). Thermal oxidation or process is by far the most used method for the treatment of hazardous wastes and is the subject matter of these draft technical guidelines. The processing of used and waste oils has been practised for many years, with organised recycling of engine lubricating oil from vehicle fleets being well established by the 1930s. Certain waste oils streams arising on oil refinery sites have been fed into so called "crude ponds" and as part of material which was accumulated in these have been recycled. changed during use thereby rendering them unsuitable for further use for the purpose for which they were originally intended.